When is The Bachelor Finale 2016? You won’t have to wait much longer! The Bachelor Season 20 finale is set to air MONDAY MARCH 14 at 8|7c on ABC. Episode 12 begins with a 2-hour finale from 8-10PM followed by The Bachelor: After the Final Rose to air at 10PM where Ben will sit down with Chris Harrison – live – to discuss his final two women of the season: JoJo, the beautiful real estate developer, and Lauren B, the stunning flight attendant. 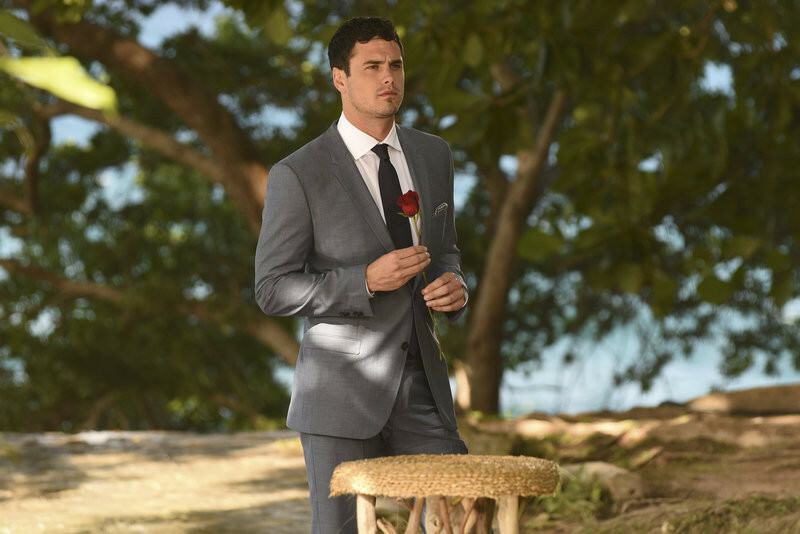 But before we find out who Ben Higgins picks to be his future wife, we’ve laid out what you can expect in Monday’s episode – warning: Bachelor finale spoilers below! As with every Bachelor season, there comes the time for the final two ladies to meet the Bachelor’s parents. When Lauren B. is welcomed into the Higgins’ home, she makes a lasting first impression with Ben’s parents, but she must win over his dad in particular. JoJo, although a little nervous, also leaves his folks equally impressed. Ben’s mother recognizes her vulnerability which appeals to her. Which woman would Ben’s mom pick for her son? Find out in the sneak peek below! Confused and uncertain on that final day, Ben makes a last-minute phone call that could alter his life forever. Who is Ben calling? Who has captured his heart? Will he propose to Lauren B. or JoJo? We have so many questions! You can definitely expect some man tears on this Bachelor finale. And although man cries can be entertaining at times – Ahem, Pulling a Mesnick comes to mind! – our hearts break for Ben. We know that he has told both JoJo and Lauren B. that he loves them and now he prepares to make one of the most difficult choices of his life. According this must-see Bachelor finale sneak peek, Ben says, “Being in love with two women, it’s tearing me apart. I can feel my mind in two different places, my heart in two different places…I’m lost. I’m a lost man right now.” Through tears he continues, “I have to say goodbye to a woman who doesn’t deserveit…and I’m confused about that." Ben gets ready to present the final rose on The Bachelor 2016 finale. As much as Ben loves both Lauren and JoJo, in the history of The Bachelor, he inevitably will leave one heartbroken. In the finale, Ben’s date with Lauren B. doesn’t go according to plan. His unexpected behavior sends this woman into panic mode. Then, during his final date with JoJo, she confesses that she cannot picture life without him. Although JoJo is confident of her feelings for Ben, he drops a bombshell. Instead of the dates bringing clarity to his situation, they leave him with more doubt. Once we finally know who Ben Higgins ends up with, we will then find out which lucky lady will be the next Bachelorette for season 12. Will we have another firecracker like Kaitlyn Bristowe? Watch The Bachelor: After the Final Rose at 10|9c on Monday to find out. Get ready for Monday with this jaw-dropping sneak peek Chris Harrison shared at The Women Tell All. “I’m sitting here, on a bathroom floor and…hey…I’m in love with you,” Ben tells one woman. “But you love her too…” she replies. Yikes, Ben, you’re not making this any easier. This is going to be one emotional finale! Late to watch The Bachelor this season? No worries! You can catch up on the entire season on ABC.com and the WATCH ABC App. If you just need a quick refresher, check out our weekly Bachelor recaps!